When you are looking to borrow money from a financial institution, the first thing you will need to consider is whether or not you want to take out a secured or unsecured loan. If you want to borrow an amount of money from £500-£25,000 and you don't want to secure the loan against your home, then you will be looking at an unsecured loan. If you want to borrow a lot of money, say to pay for a wedding or a holiday home, then you might consider taking out a homeowner loan - otherwise known as a secured loan. This means that you will use your home as security against the possibility of you not keeping to the repayments. Are There Different Borrowing Limits With Secure & Unsecured Loans? Because you are willing to put up your home as a guarantee of repayment, lenders will consider giving you a larger loan. They have your property as 'collateral', and they can take steps to repossess your property if you don't keep up payments that you have agreed to. Whichever loan you choose to take out, you will probably be required to have a credit check and the amount you can borrow and the interest rate associated with the loan will decided by the results of a credit score. Putting your home at risk is a big decision but whether its a good idea comes down to whether or not you are prepared to take the risk and most importantly, whether or not you can afford the repayments. Sounds Good – But What Happens if My Circumstances Change? Generally a secured loan can be a great idea as long as you use your common sense, do your sums and don't borrow any more money than you can reasonably expect to be able to afford to pay back. However you must take care to think about your employment and your outgoings, and how you'd manage if either of these were to rise or fall substantially. If you go for a secured loan, you will want to look at taking out payment protection insurance or PPI, which may cover you financially should something unexpected happen that means you can't work, or can't meet your repayments. If you do decide to go ahead and take out a secured loan, then you can usually borrow up to around £50,000 but depending on how much of an asset your home is - i.e. how much you've paid off it and how much it is worth, then some lenders are willing to lend more, sometimes up to £100,000. If you're needing money to make a large purchase or investment, then the benefits can outweigh the risks - as it is unlikely that you'll find another way of securing such large amounts of cash - especially without using your home as security. 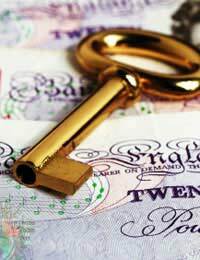 Can I Pay a Secured Loan Back Over a Longer Time Period? When you are looking at the terms and conditions, remember that because you are going to borrow a larger sum of money, then you're also able to extend the loan term. Before opting for a longer-term loan, do remember that this will bring down your payment every month but will increase the amount you pay back in the long run, and the extra you will pay back for borrowing for longer can be a significant amount. Interest rates are often lower on secured loans because the lender has a right of recourse if you don't make the payments you have agreed to. If this happens, they can and will take steps to repossess your property and recoup their costs that way. This often means that on a larger loan you can score a lower interest rate as the risk to the lender is less.